Rochester was known as the “Flour City.” Thanks to the region’s rich agriculture and the flour mills at High Falls (96 ft. waterfall in the center of the city), Rochester flour was sought after all over the world. 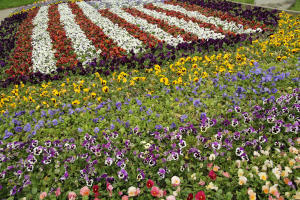 With the advent of the Erie Canal to transport milled grain and lumber, Rochester became America’s first “Boom Town.” Rochester’s moniker changed to the “Flower City” when horticulturists George Ellwanger and Patrick Barry gained international attention for their nursery business. Today, visitors will notice the beautiful parks and gardens all throughout the city and region, including over 500 varieties of lilacs in Highland Park. Frederick Law Olmstead, the famous park architect who planned Central Park in New York City, lived in the Rochester region and created 4 parks here, including Highland Park. 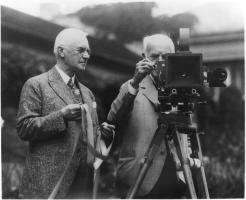 George Eastman invented the first flexible film camera that made cameras and photography available for the masses. He based his company, Kodak, in Rochester NY. George Eastman was also a great philanthropist, and was the founding benefactor of many educational and cultural institutions in Rochester including the Eastman School of Music, The Rochester Philharmonic Orchestra, the Eastman School of Dentistry, and others. His mansion home is now a museum for all to enjoy. There you will see his beautiful gardens, his interest in architecture, technology, and music. The house has an Aeolian Pipe organ built into the conservatory. In his day, Eastman loved to entertain people with concerts, a tradition still carried by the museum today. The George Eastman Museum is also an international archive of photography and film. 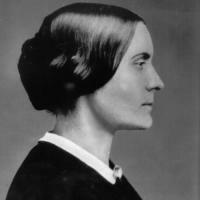 Susan B. Anthony lived and worked in Rochester, NY. She was a leading champion for women’s rights in the U.S., well known for her passionate speeches and sharp wit. In her lifetime she fought for women’s right to vote, own property, access to education and a fare wage. She was also a strong Abolitionist, working with her friend and fellow Rochestarian Frederick Douglass. In 1872 she was arrested in her home for voting in that year’s presidential election. Today visitors can see her home on Madison Street and hear her incredible and inspiring stories. There are additional tributes to her all over Rochester including the Let’s Have Tea Statue at Susan B. Anthony park, the 1872 café, exhibits at the Rochester Museum & Science Center, and her grave site at Mount Hope Cemetery. Abolitionist Frederick Douglass spent 25 of his most productive years in Rochester. Douglass, an escaped slave, published the abolitionist newspaper The North Star, and assisted Harriet Tubman in the dangerous work of helping slaves escape via the Underground Railroad. Douglass was involved at one of the most crucial points of the flight, assisting with escape by boat along the Genesee River to Lake Ontario and Canada. 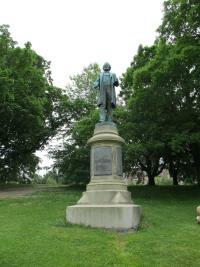 Visitors will find tributes to his life and work throughout Rochester including the Lets’ Have Tea statue at Susan B. Anthony Park, stops along the Rochester Heritage Trail, his statue at Highland Park, exhibits at the Susan B. Anthony House & Museum and the Rochester Museum & Science Center, as well as his burial site at Mt. Hope Cemetery. There is a statue of him in the South Wedge Neighborhood. Founders of the Baush & Lomb Company. Both are buried at Mount Hope Cemetery. Co-founder of Western Union. He helped orchestrate the purchase of Alaska with William Seward. He is buried at Mount Hope Cemetery. Founders Café—a restaurant in Downtown Rochester that pays tribute to many of these famous figures from Rochester’s history.